Beckett’s research focuses on the causes and consequences of the expansion of the U.S. criminal justice system. She also studies racial disproportionality in the criminal justice system, the assessment and consequences of legal financial obligations, urban social control, drug policy, and capital punishment. Over the years she has worked with a variety of civic and governmental organizations, including the Washington State Minority & Justice Commission, the ACLU’s Drug Law Reform Project, the Racial Disparity Project, and the Task Force on Race and Criminal Justice. Katherine Beckett's research on death penalty discussed in Christine Clarridge and Lewis Kamb, "Death Penalty Struck down by Washington Supreme Court, Taking Eight Men off Death Row," The Seattle Times, October 12, 2018. "Violence, Mass Incarceration, and the Myth of Monstrosity," Katherine Beckett, The American Prospect, August 18, 2016. 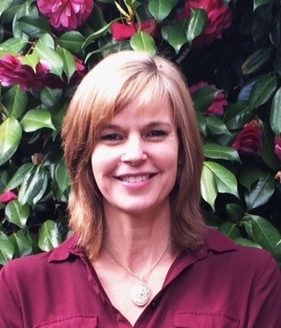 Katherine Beckett quoted on race issues surrounding the death penalty in John O'Brien, "Last Rights: Ethics of the Death Penalty in Washington State" KUOW Seattle National Public Radio, September 3, 2015. Katherine Beckett's research on crack arrests discussed in Kristian Williams, "Poverty Crime, Privileged Crime," Dollars & Sense, July 1, 2015. Katherine Beckett quoted on criminal records in Jason Stanley, "The War on Thugs" Chronicle of Higher Education, June 10, 2015. Katherine Beckett quoted on crime as a political weapon against the civil rights movement in Bernard Harcourt, "Don't Believe the Fictitious Crime Trends Used to Undermine Police Reform" The Guardian, June 6, 2015. Guest to discuss society’s perceptions of criminals on Cited, Katherine Beckett, March 24, 2015. "Race, Death, and Justice: Capital Sentencing in Washington State, 1981-2014" (with Heather Evans). Columbia Journal of Race and Law 6, no. 2 (2016). Examines the role of race in the application of the death penalty in the wake of the Furman v. Georgia decision. Suggests that race plays a significant role in capital sentencing even where the statutory framework effectively narrows the pool of homicide cases that may result in the death penalty. "The Uses and Abuses of Police Discretion: Toward Harm Reduction Policing" Harvard Law and Policy Review 10, no. 1 (2016): 77. Provides a brief overview of the history and evolution of police discretion from the 1960s to today and explain how its exercise has been impacted in recent decades by the war on drugs and the adoption of broken windows policing. "Crimmigration at the Local Level: Criminal Case Processing in the Shadow of Deportation" (with Heather Evans). Law and Society Review 49, no. 1 (2015): 241-277. Examines how the specter of deportation affects criminal processing and outcomes in cases involving immigrant defendants. "Race, Drugs and Law Enforcement: Toward Equitable Policing" Criminology and Public Policy 11, no. 4 (2012). Argues that equitable drug policing should not ignore the harm associated with either drug markets or racial disproportionality in the criminal justice system. "On Cash and Conviction: Monetary Sanctions as Misguided Policy" (with Alexes Harris). Criminology and Public Policy 10, no. 3 (2011): 505-537. Summarizes findings regarding the nature and prevalence of fees, fines and other monetary sanctions and argues that their assessment will not enhance public safety, but will enhance social inequality. Banished: The New Social Control in Urban America (with Steve Herbert) (Oxford University Press, 2010). Examines the rise and use of new control techniques that involve spatial exclusion in Seattle and elsewhere.